Made, fresh from certified organic ingredients. All natural, preservative free, no chemicals, no soy, no corn, no GMO and no added sodium or sugars. 100% sulphate free. Organic Protein Power Sprout Mix, developed by an expert in Eclectus Parrot Nutrition. 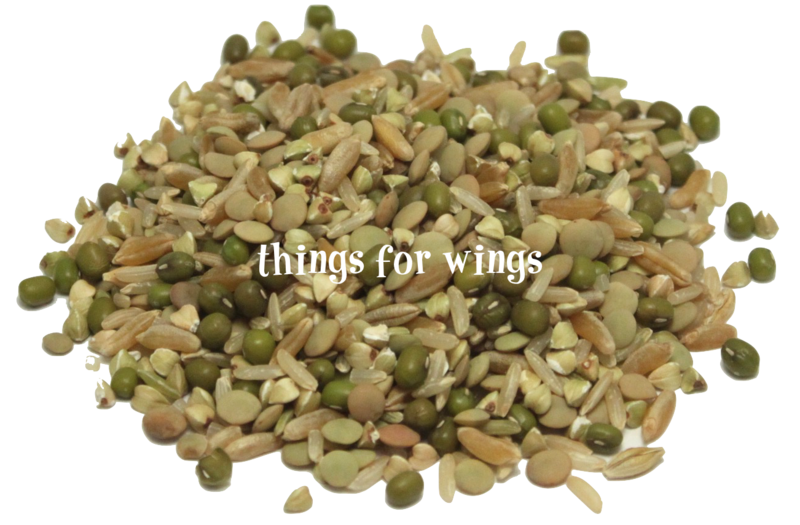 Sprouting is a great way to provide nutrition for your companion parrot. Easily digested, rich in antioxidants, enzymes, minerals and proteins. Sold in 400 gram bags. Our ingredients are all certified organic, raw and human grade. Copyright Avian Organics. All Rights Reserved. Please refer to our Terms and Conditions for details..